Doorbell, door bell or door chime? Is it a “doorbell” or a “door bell”? and how exactly is a “door chime” different? A google search on doorbell as a single word, yields about three times as many hits compared to the phrase “door bell” And “door chime” is shows up far less often. For the record, on March 6, 2012 at 5:36 pm Pacific Standard Time, the three terms yielded the following page results. English incorporates new words with usage. 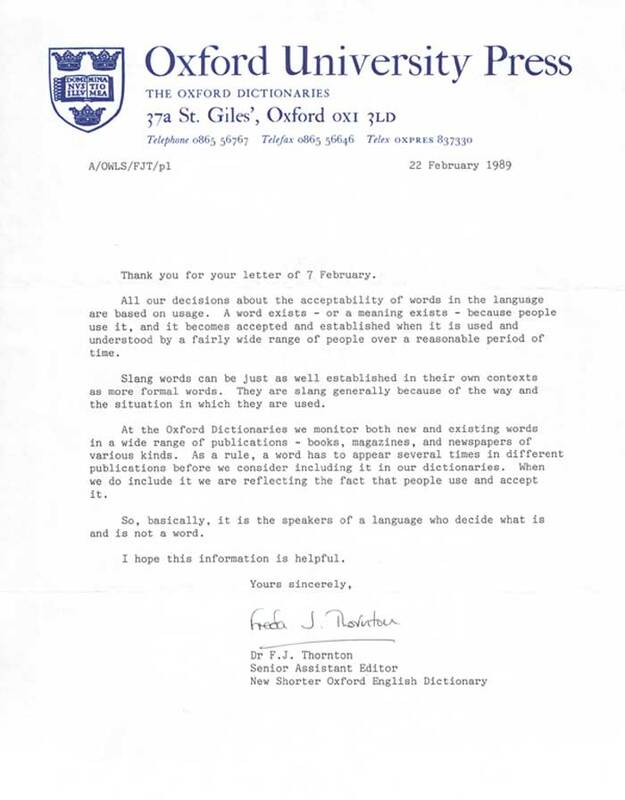 The good people who publish the Oxford English Dictionary once explained that English, like all living languages, evolves with usage. WIth this in mind and the overwhelming popularity of “doorbell”, The Museum mostly relies on that term, while reserving the right to use doorbell, door bell, and door chime interchangeably. Perhaps more important to ponder is what exactly are people talking about when they refer to “the doorbell’. Casual logic suggests they are more accurately referring to the actual source of the sound, or the “signaling device”. The mechanism that triggers the signaling device, whether electric or mechanical, is a “doorbell button.” In English–as opposed to American English–the triggering mechanism, is a “doorbell push.” That has a nice ring to it, although these days you would sound a bit affected if you spoke of the “doorbell push” here in the United States. And it would be equally affected to refer to your doorbell as a “door call” as at least one UK manufacturer called their product. It is useful to concentrate on the actual sound producing signaling device. Until the late 19th century it most often was a bell, or sometimes a coiled gong. The bell was manually triggered by the caller to announce her presence. With the advent of electricity, the bell could be triggered remotely with a push button. [graphic: early electric alarm type doorbell] Around this time, signaling devices that produced sound by electrically oscillating a thin piece of metal were also popular. Oscillator devices became known as buzzers. Loud bells or raspy buzzers are not particularly pleasant ways to be alerted to somebody at your door. In response, more civilized devices became popular in the 1930s. These signal devices rang on long cylindrical metal bells, or flat metal bars as found in glockenspiels. Next we turn our attention to the terminology used to produce the actual sound of a door chime. Door Chimes which ring on long bells made of thin-wall metal or flat metal bars most often produce the ubiquitous high-low “ding-dong” melody. Sometimes door chimes produce a melody of three to eight or more notes. The earliest door chimes could more precisely be called a “door chime”, as they produced only a single note. The Doorbell Museum refers to the long thin wall metal tubes as “long bells”, “tubular bells” or “long chimes.” The preferred term for metal bars are “tone bars”. Chimes that utilize tone bars often have a hollow chamber, or resonator to amplify and refine their notes. Often, these resonators are used decoratively to provide a visual salute to bells. We call these resonator chimes. Just as often, the resonators were hidden beneath a decorative chime cover. When resonators are hidden or absent from a tone bar chime, it is referred to as a “compact chime”. Residential signaling devices that produce sounds electronically are “electronic doorbells” Some electronic doorbells dubiously feature non-functioning long bells. The Doorbell Museum is devoted to real doorbells, so you will find little reference to Electronic Chimes, except where historically significant. Confused? So were Doorbell Manufacturers. 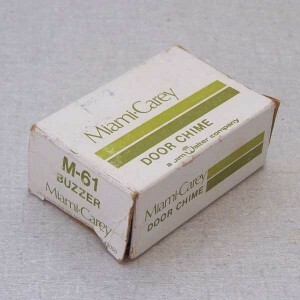 Miami Carey called this a door chime and a buzzer. We believe it’s a buzzer. You be the judge.